Saturday was my uncle’s birthday. After my paper on Wednesday, it felt like exams were over. I went back, baked some Madeleines (from the really good Le Cordon Bleu recipe), watched a couple of episodes of my Korean drama which I’m currently hooked onto (Lie to Me), and slept like a pig. With that sort of behaviour, there was no excuse for me not to be baking my uncle’s birthday cake. I was glad that my mom asked me to do so anyway. 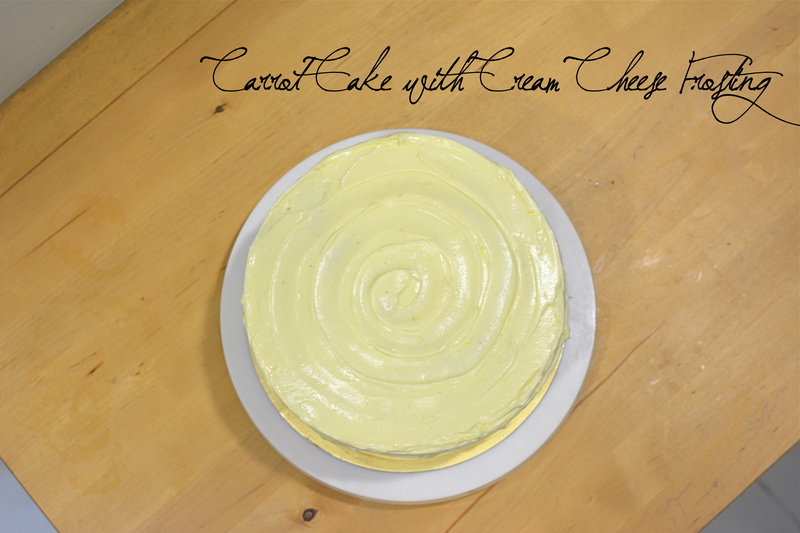 I don’t usually get a chance to frost whole cakes and baking one and then frosting it nicely for no rhyme or reason isn’t really cost effective so this was a chance for me to practice my frosting skills. 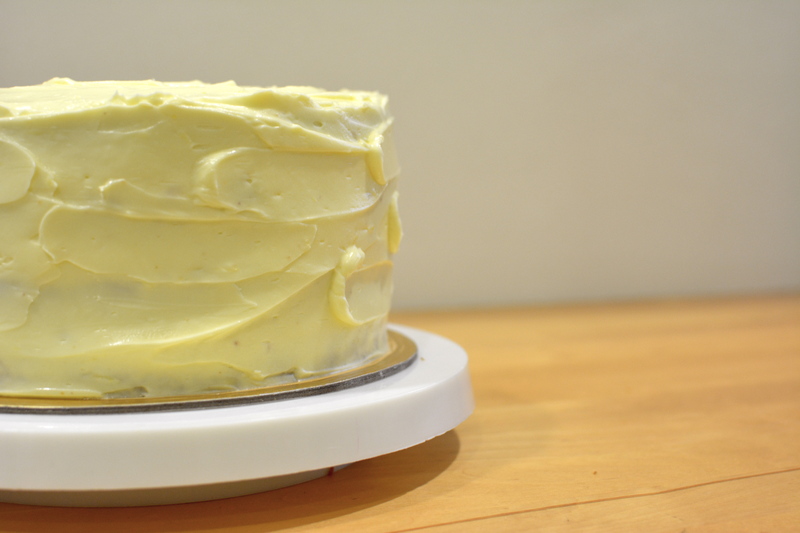 I stuck with a classic carrot cake recipe out of my mom’s recipe folder and paired it with the decadent Cream Cheese frosting that I’ve been using for years. I’m glad to say that everyone enjoyed my (very tall) cake, although I could definitely have decorated and frosted it better. 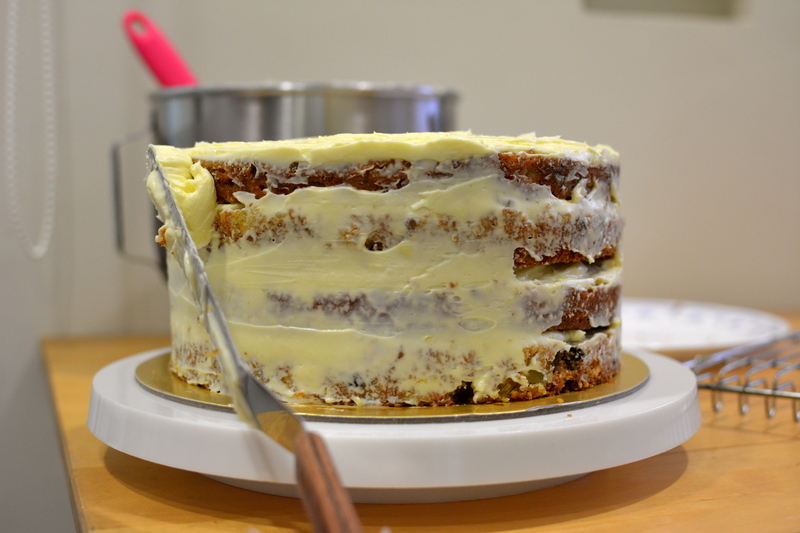 This carrot cake recipe is moist, but not to the extent of that of a pudding, and is perfect for any tea time treat or even for breakfast. 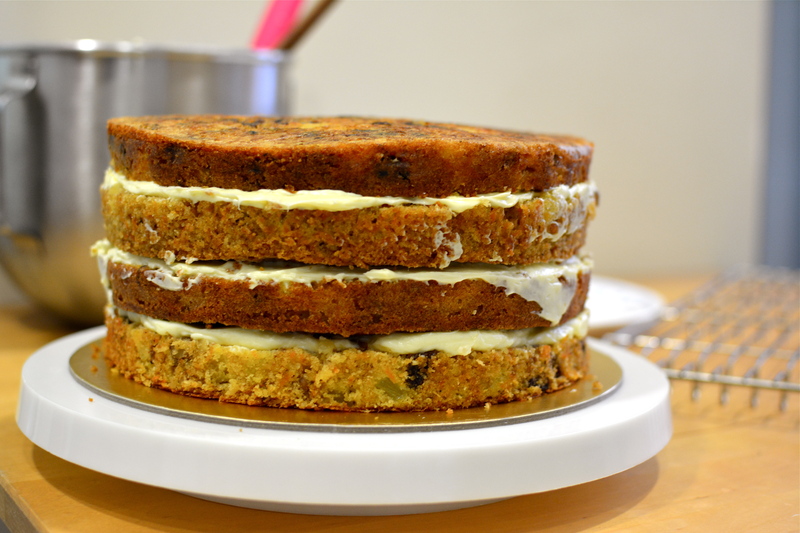 Freshly grated carrots, coconuts, crushed walnuts, raisins and a slather of luscious cream cheese, this cake is perfect for anyone. 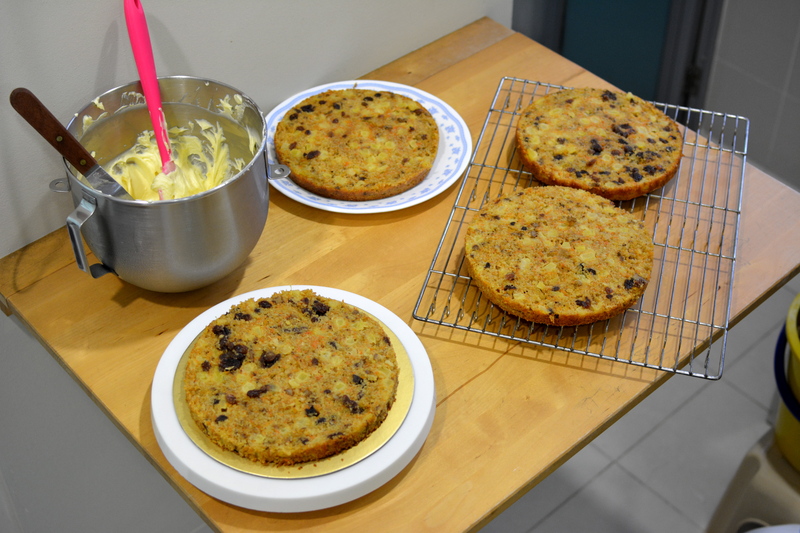 Gradually stir int he dry ingredients, fold in the carrots, pineapple, coconut, walnuts and raisins.